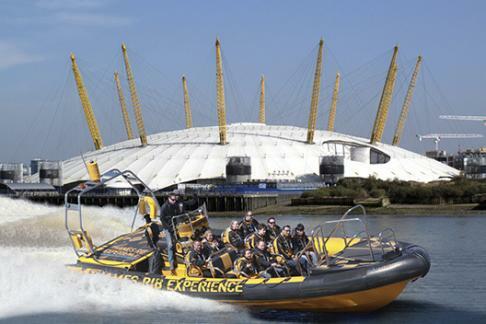 As of 5th April 2014, we are proud to announce a new extreme 20 minute RIB blast propelling passengers to and from North Greenwich Pier – The O2. On this adrenaline packed speedboat ride to remember you will take in sights not limited to the Thames Flood Barrier and stunning historical Greenwich, and receive stimulating guided commentary along the way. We’ll blare the James Bond theme music as you fly past what is arguably the most spectacular landmark you’ll see en route – the O2 arena itself as featured in ‘The World is not Enough’; a true quick fix for information and adrenaline junkies alike! Wet weather clothing and life jackets are provided; making sure the trip goes ahead in safety whatever the weather. You can even take away a printed photograph – a memorable keepsake of an experience on the Thames you will never forget.